Since the mid 1900s, we've been in the food service distribution with one goal ahead of all others - providing quality products in a dependable manner. It's a heritage that we're proud of and will gladly continue. Please take a moment to review our product line through the menu above, as well as the product links below. If yo have any questions at all, don't hesitate to contact us. 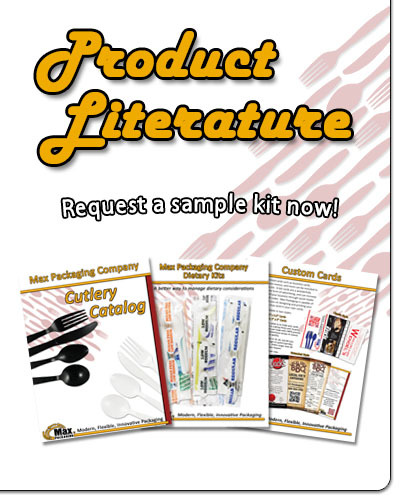 Our line of products includes, but is not limited to: Plastic Cutlery, Dinner Kits, Custom Kits, Dietary Kits, Coffee Kits, Accessories and Condiments, Earth Friendly Items and Dispenser. Need specifications on our cutlery?